Landscaped Summer Garden With Green Plants, Rocks, Various Flowers.. Stock Photo, Picture And Royalty Free Image. Image 59423035. 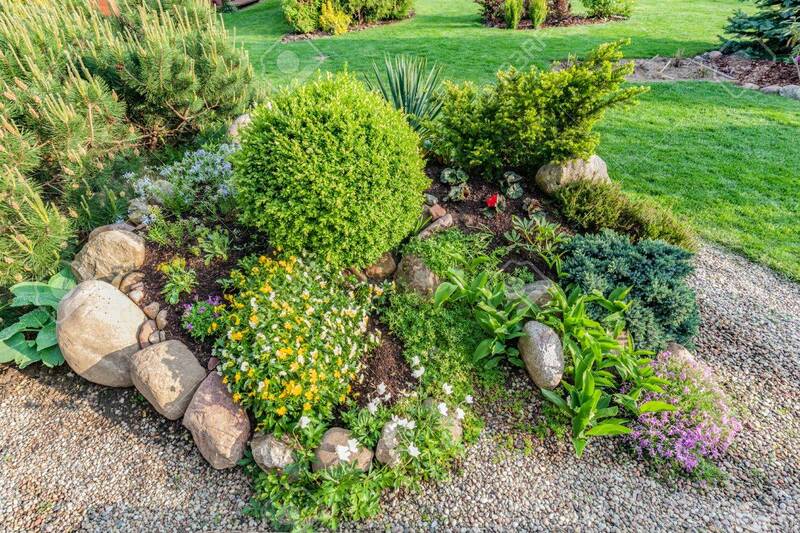 Stock Photo - Landscaped summer garden with green plants, rocks, various flowers in flowerbeds, mown grass. Landscaped summer garden with green plants, rocks, various flowers in flowerbeds, mown grass.